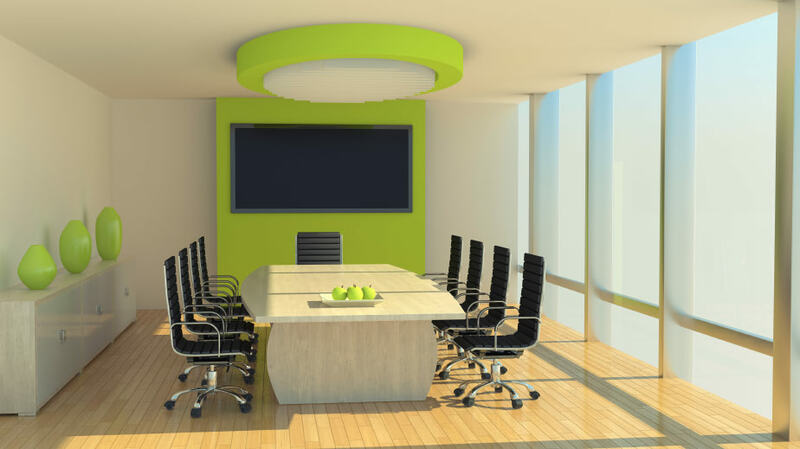 Green offices and other sustainability initiatives make good business sense on multiple fronts. Obviously they help contain energy costs and improve profit margins. They also help to build a more positive brand image. Customers love to hear how their favorite companies are reducing carbon footprints and innovating toward a greener future. As solar-powered commercial opportunities grow, more businesses are taking note. According to a survey cited by Energy Manager Today, three-quarters of US company decision makers invested in energy efficiency programs in the past year, and 56 percent—more than half—expect to increase their investment in 2015. In an effort to assist companies looking to install solar, the U.S. Energy Department will soon release a project guide, The Commercial Solar Deployment Playbook. For small businesses, this guide will outline low-cost financing for solar energy, provide model contracts, and offer case studies of businesses improving their bottom line by deploying solar. Before long, your local vendors may be serving you from solar-powered bakeries, shops, and offices. Large corporations can’t move their entire operations to massive, green office parks (at least not right now), but they can invest in smaller solar-powered units for their jobsite teams, branch locations, or field offices. And in fact, we’re already helping some well-known clients work on projects like these! Shipping containers make for ideal, solar-powered field offices because they are easy to transport and relocate. They can be leveraged as long-lived, energy-efficient assets even when your organization’s off-the-grid working needs are subject to change (e.g. oil or gas production sites, disaster relief, construction sites, or even cross-country marketing campaigns). If you’re a fan of Tesla electric cars or the idea of zero emission transportation, you may have seen garage solar-panel options that let drivers recharge their e-vehicles with sunlight versus a power outlet. You may have also heard recent news about a lithium electric car battery; it’s projected to triple the driving range of electric cars while incorporating a lighter, safer material. For forward-thinking companies, these could be game-changing developments in product delivery. This Amsterdam company uses solar-powered shipping containers for its delivery “trikes.” Foodlogica stores and charges electric cargo vehicles inside modified shipping containers, which are topped with solar panels. Already the company is making a dent in the city’s food transportation statistics, helping to reduce an estimated 15 million miles of annual fuel emissions within Amsterdam city limits. Not long ago, a portable power center may have sounded more like a James Bond plot element than an actual business idea, but functioning models are now in effect, and new prototypes are being developed every day. Some of the noteworthy options include shipping containers, as storage/transport units for collapsible turbines or pop-out solar cells. The durability and portability of shipping containers makes them ideal for carrying heavy, sensitive equipment to some of the world’s most remote locations. Once stationed, the containers provide suitable anchors for retractable photovoltaic panels (which exponentially increase the square footage of traditional roof panels) or even wind turbines. Interested in creating a green office or solar-powered jobsite HQ for your company? 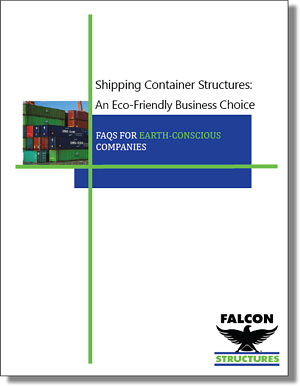 Wondering how shipping container projects can complement your sustainable business goals? Learn more in our guide. And please share any modified shipping container project ideas or questions you have with our blog readers. We love getting your comments!